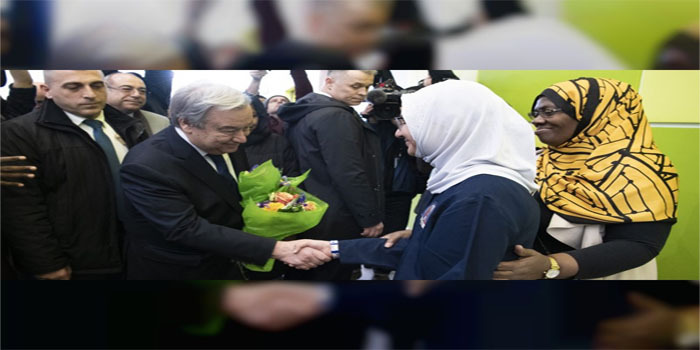 Guterres was addressing representatives of the press at the Islamic Cultural Centre of New York, to show his solidarity with the worldwide Muslim community, a week after the murder of some 50 Muslim worshippers by a gunman in Christchurch, New Zealand, on 15th March. “Around the world, we have seen ever-rising anti-Muslim hatred, anti-Semitism, hate speech and bigotry. The cancer is spreading. It is our duty to find the cure,” Guterres added. The Secretary-General announced that he has asked the High Representative for the United Nations Alliance of Civilisations, Miguel Moratinos, to develop an Action Plan for the UN to be fully engaged in support of safeguarding religious sites. The Alliance, he said, will reach out to governments, faith-based organisations and religious leaders to explore ways to prevent attacks and guarantee the sanctity of religious sites.